Charming, chalet inspired living is evident at Memento, another amazing development by master builder Ledingham McAllister. This west coast styled, wood frame low rise shows beautiful craftsmanship with timber details, stone rock borders, stylish accents and lush landscaping. The interiors are comfortable and stylishly urban featuring tile flooring in baths and kitchens, deep pile carpet in bedrooms for warmth and coziness, stylish, functional kitchens with energy efficient appliances and thoughtful functional details throughout. Midsized development with no fuss amenities, keeps maintenance fees low. 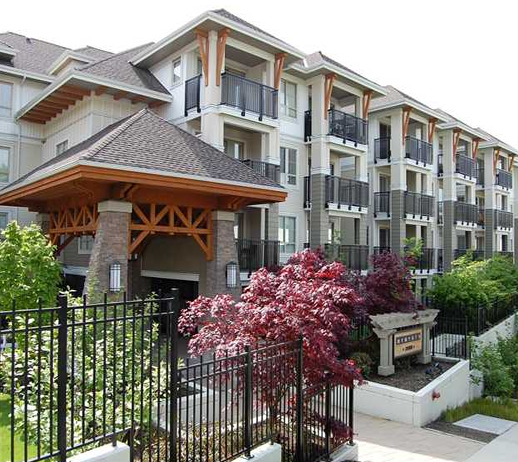 Centrally located in the popular and convenient Brentwood, close to shopping, Skytrain and all major arterial routes.